Today’s brands are in the throes of a mid-life crisis. Let’s face it – traditional brands were simply not engineered to have purpose or passion – they were created in the problem/solution era of brand development. So, how does a corporate brand, often void of backstory, purpose and dimension, create a narrative that rivals the young brands that are dripping with that oh-so-desirable sauce of authenticity, passion and relevancy? Let’s start by not getting too hung up on what our brands really are or aren’t. We tend to trap ourselves within the confines of whatever established equities we can excavate to reverse-engineer a contrived “purpose.” The result often comes off like a bad comb-over. The reality is that it simply doesn’t matter what our brands presently stand for, if anything. Nor does it matter if we have baggage, despite our fears. We have more options to build a compelling narrative than we think we do. And Walter White is our mentor. Don’t unearth it. Command it. Walter White didn’t let his meek persona or dusty backstory stop him from commanding an entirely new persona, one in which he had no equity or “permission” to become. He simply claimed it as his own and never looked back. 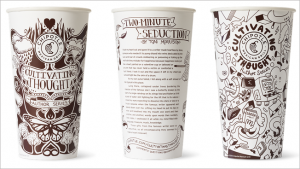 Chipotle follows White’s strategy. 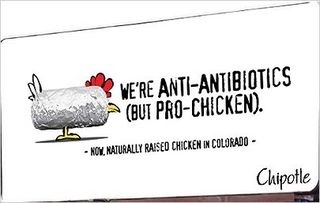 Chipotle didn’t feel trapped by its McDonalds heritage, corporate scale, inability to truly source locally, all organic or antibiotic free to shy away from claiming itself as a leader in the voice of natural, local, anti-industrial, ethical consumption. Chipotle simply chose its path and never looked back. 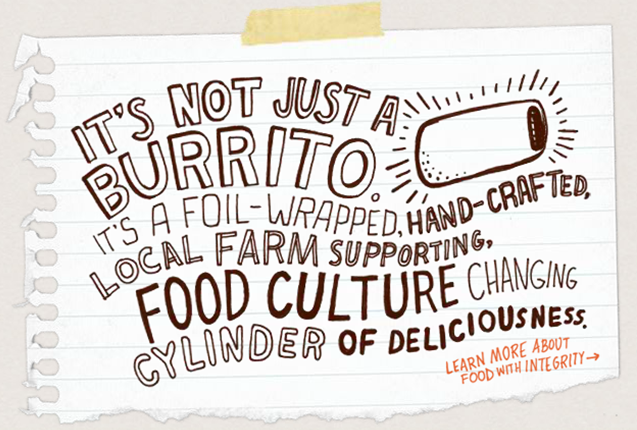 While a case can certainly be made that Chiptole’s positioning is inauthentic to its heritage, sourcing or product offerings, the corporate burrito slinger has truly succeeded in becoming the voice against gluttonous, corporate cow-killers with its Scarecrow campaign and the bold release of its own Hulu series, Farmed & Dangerous. Authenticity, it seems, is more of a practice than a goal. 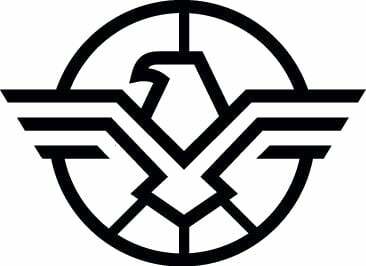 A brand choice, rather than a necessary truth. The teeth of transparency may be less vicious when our intentions are pure, even if the result falls short. We root for the committed – even if they can’t win … over the winners who don’t inspire us. 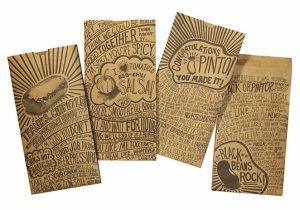 Chipotle carries the torch for all big brands who fear they can’t possibly find a story to tell or a purpose they can truly deliver on. As the leaders, we don’t have to cower in the shadows of a lackluster brand narrative – we simply have to create one and never look back. So, what did Mr. White teach us? 1. Authenticity does not have to be linked your history to become part of your DNA. 2. It doesn’t have to be inherited or even inherently owned. 3. Your story is simply waiting to be claimed and committed to. It is a choice. Just be it.